Should I Use A Recruiter When Job Hunting? I’ve been sending my resume into job postings and talking to recruiters, but I don’t seem to see anything happening from it. I feel like I can’t wait forever for the recruiters, but when I speak to them, they seem really committed to helping me at the time, but nothing comes from it. What’s your experience with recruiters? Great question, Willemina. 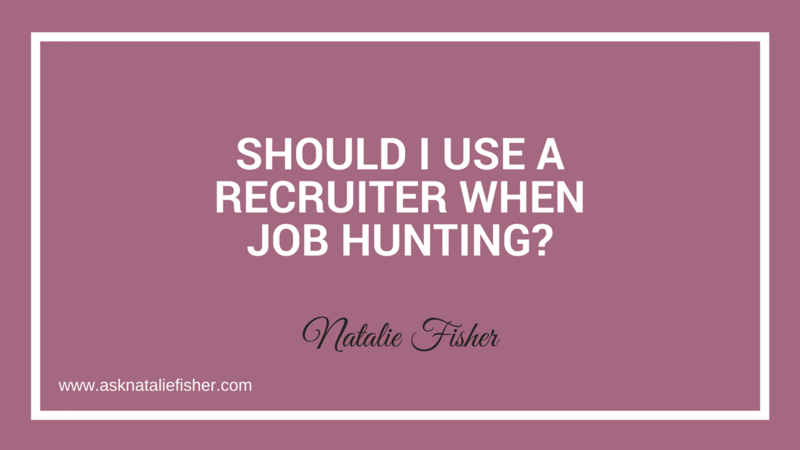 There is a lot of controversy about recruiters, and I have a lot to say on this topic. I actually have a good friend who is a recruiter, and she even says she hates recruiters! So, if that doesn’t tell you something, I don’t know what does. 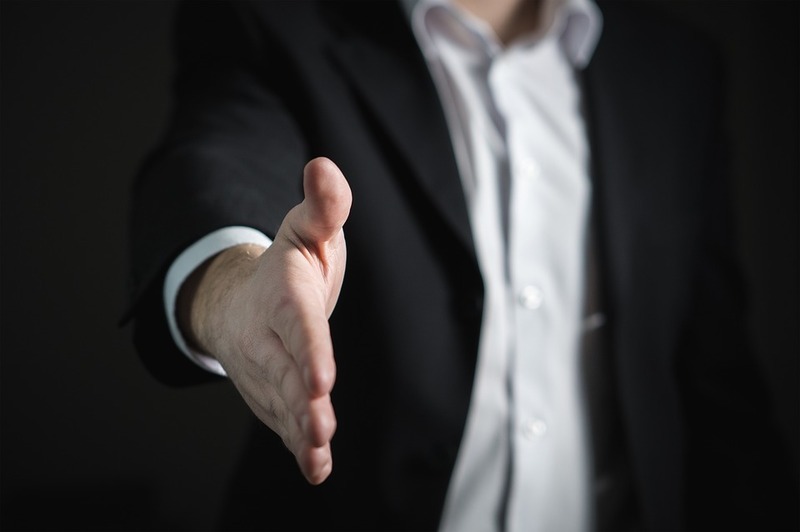 In this post, we’re going to talk about three things to keep in mind if you’re working with a recruiter, whether or not you should work with a recruiter in your job search, and what to watch out for when you are working with them. So, the #1 thing I want to bring is the recruiter fallacy. So, I think that the reason why people spend so much time speaking to recruiters, instead of getting into their own job search and taking matters into their own hands, is because recruiters make you feel really, really good. They’ll tell you everything that you want to hear, and they’ll make you feel like they are 100% committed, and that’s all that they’re working on. Then, they tell you that it’s no problem and that they help people like you every day, and they make you feel really, really good. They tell you all the things they can do for you, and they promise you the sky. Also, after your initial conversation with them, you might not hear anything back. Not all recruiters are alike. This is just a repeated situation that I’ve seen happen over and over again with my friends and my clients and my family members. So, a word of caution to you: Be prepared for that to happen. If you are working with recruiters, don’t be surprised if nothing happens after your initial chat. You have to pretend that it’s like sending a resume into the black hole, or you’re just sending it to another website. If you don’t hear back from them, don’t count on anything happening. #2 If you want something done, do it yourself! Don’t confuse outsourcing with making actual progress. When it comes down to it, you’re in charge of your career and your life. Outsourcing your job search to a recruiter is like outsourcing a task, but you’re really the only one who truly cares about the task, and the person you’ve entrusted with this task really hasn’t come through for you before, so you’re a bit wary whether or not they’re going to get it done. It’s kind of like outsourcing laundry to a teenager. Chances are (and you all know this is true) you are going to have to roll up your sleeves and get it done yourself. Now, there are exceptions to every rule. If the stars line up, something could work out for the recruiter, and they could get you a great opportunity but you can’t rely on it. You have to take your job search into your own hands. When it comes to your career, you’re the one who is always going to care the most about it. So, with that, I leave you with: If you want something done, do it yourself. You can’t go wrong. #3 What can you do instead of working with recruiters? 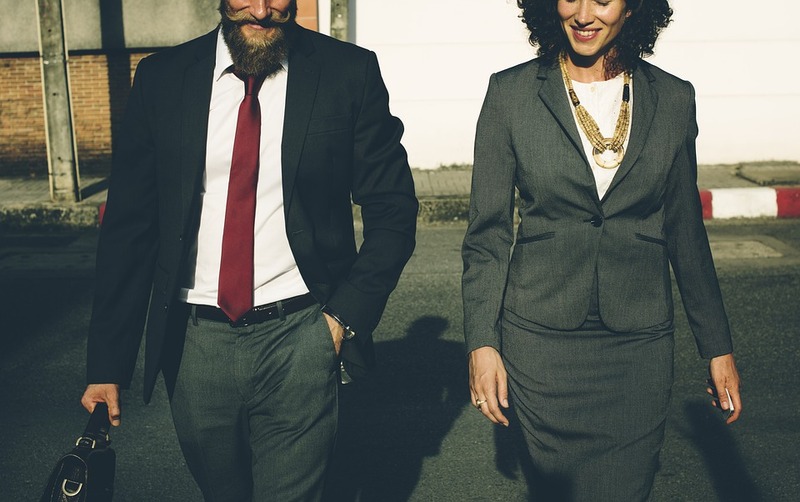 You’ll notice that one thing that you’ll hear a lot that all career coaches—good career coaches—have in common (I know because I’ve studied almost all of their work) is that contacting hiring managers and experts directly is the most successful way to go. This puts you in full control of your direction either via LinkedIn or via email or via personal introduction at an event. The recruiter is essentially the middle man—so, the middle man that makes the big bucks if you end up getting hired. So, if you can make that contact directly, you’re way better off than going through a recruiter. Another super important thing to keep in mind is that the recruiter is working for the company—not for you—because that’s who is going to pay them. They’re working for whomever is going to write them that big, fat check, and since that’s not going to be you, that means that you will never be the #1 priority. So, with that said, I say cut out the middleman, and go straight to the source. If done right, companies and hiring managers want to hear from you. I hope it gives you some insights into the recruiter scene. Feel free to click the thumbs-up if you liked this post, leave a comment below and sign up for the free guide: How to Nail an Interview You’re Unqualified For.